We are a distinguished organization engaged in offering high quality Metal Powders. These metals powders are available in different sizes and can be availed by clients as per the requirement. Free from any sort of impurities and having longer shelf life, these powders available with us are appreciated among clients. Introducing our new product - Silver coated nickel powder as a replacement for pure silver in certain special applications like EMI/RFI shielding and where you require magnetic property also. Our organization is offering Nickel Metal Powder to our clients. These are broadly used in various sectors. Our products are highly admired for their quality. These are gettable at leading market prices. We are offering Nickel Powder in the market. Available in both coarse and fine particles, we offer nickel powder of extremely high purity. Used in diverse applications like binding for diamonds, lubricants, etc., our nickel powder has been hugely acclaimed in the market. We are manufacturer Nickel Powder. Plant is located in S. Korea. Apart from Manufacturing item we are trading of worlds one of the finest Nickel Producers Nickel Powder also. We have an eminent name for offering a vast array of Nickel Metal Powder. 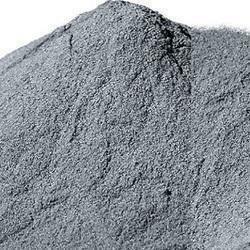 Rod Shape & Irregular Particle Shape Nickel Powder Available For Powder Metallurgy. Hard Metal & Diamond Tool Applications. Nickel Metal Powder Sherritt make in producers sealed packed drums of 250 kgs each. The nano nicekl powder is suitable for research centre, metallurgical process, for making composite & for plating purposes. Which is used in welding Electrode manu, wearplate manu., diamond tool manu, fine Nickel powder used in Ni-H Batteries Manu, Magnet manu. Diamond Tools manu. Chemical plant., powder mettaurgy, metal ceremics. The Prices are excluding taxes and will vary based on Order Quantity and Market variations.